How one conceptualizes team science might just depend on the kind of team you have and what kind of outcomes you want. 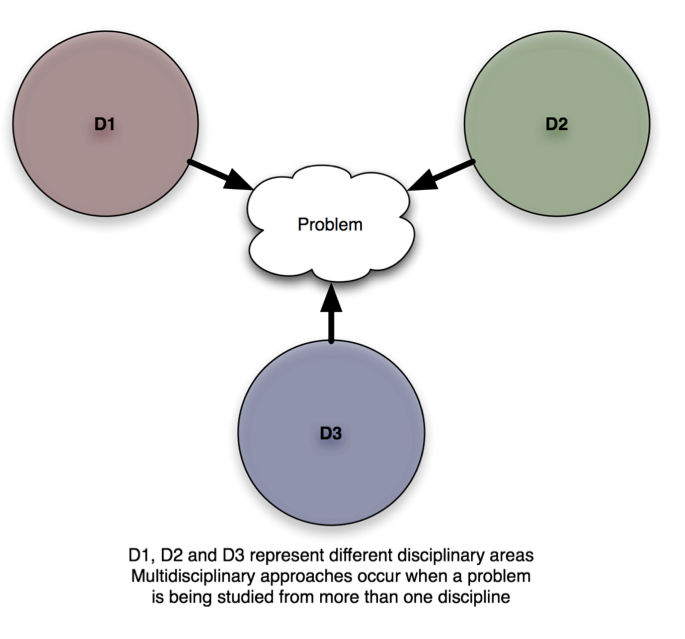 Using a sports analogy and that of multi- inter- and transdisciplinary collaboration, these types of teams are explored. Team science could easily be viewed as an oxymoron by those who work in the scientific enterprise. Scientists are trained from the outset to be independent thinkers and the culture of academia is one based on the individual as the centre of knowledge activities. For us professors, nothing reminds us more of this than completing the annual PTR (progress through the ranks) report that comes this time of year. In this report we are asked to justify why we should be eligible for a raise, a promotion, a bonus, or simply be allowed to keep our job by highlighting all of the things that we did the past year. However, by “we” I am referring, in my case, to “me” because what goes on that CV are things that have my name on it and, preferably, my name at the front of the list. Not all things are equal in this report. For example, on a manuscript with five authors it pays to be the first author much more than the second and far more than the fourth. In some settings, the fifth is a good place to be, but not everywhere. This well-worn aphorism used in management courses points to the notion that teams are, by the their very nature, collaborations and oriented towards promoting the good of the group, not just the individuals in it. To this end, it is worth referring to the work of Patricia Rosenfield on multi- inter- and transdisciplinary collaboration. But going through this, it might be worth considering what kind of team you want to create. Sports provide us with the most obvious examples of teams and points of comparison. If you are playing some type of pick-up team game (basketball, football, hockey…) you are generally coach-less and probably each thinking about your immediate neighbours as team members more than you are the team as a whole. The product (that is, your goals/baskets etc..) is determined largely by a contribution of you and your most immediate neighbour on the pitch and that’s about it. The focus of everyone is on the problem, not so much on the team. 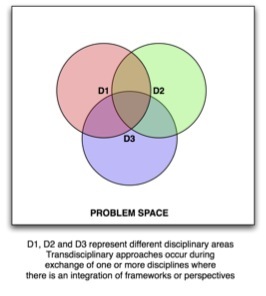 In terms familiar to team science, this might be considered multidisciplinary collaboration (see Figure). Another way to conceive of this is that you have a coach and bring together a team that is organized, and for whom some might have worked together or can relate as individuals, but a little less as a whole. For example, the Olympic hockey or basketball teams are now made up of professional all-stars who come together from other teams to compete as a unit for two-three weeks every four years. Depending on how they are coached, this might be considered akin to an interdisciplinary team. The last example is one more akin to a systems approach whereby the “whole is greater than the sum of its parts” and the product comes from the interaction between individuals in a manner that transcends individual expertise into some new, novel form. Using our sports analogy, this is more like the team that was formed by drafting players who had the right mix, worked together to create a unit where there might be few superstars, but a strong connection between players. An example in the past has been the New England Patriots football team or the New Jersey Devils hockey team in their championship years. On these teams, the players themselves function as a unit so well that it transcends the talent of the individual players. All one has to do is look at the 2004 Olympics to see how the USA Basketball team, with arguably one of the best lineups in history, wound up with a bronze medal behind Argentina and Italy, two teams that may have had lesser talent on a player-by-player basis, but were better as teams. 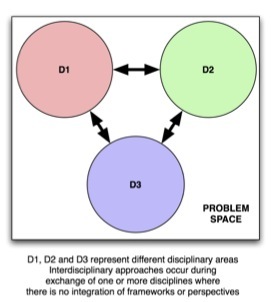 Whether one views an ‘i’ in team might depend on whether the team is viewed through the lens of a multidisciplinary framework where individuals make their own unique contributions into a whole, an interdisciplinary framework where there is collaboration, or a transdisciplinary framework where there is integration. Special thanks to my longtime collaborator and friend, Dr. Tim Huerta who originally developed these diagrams.